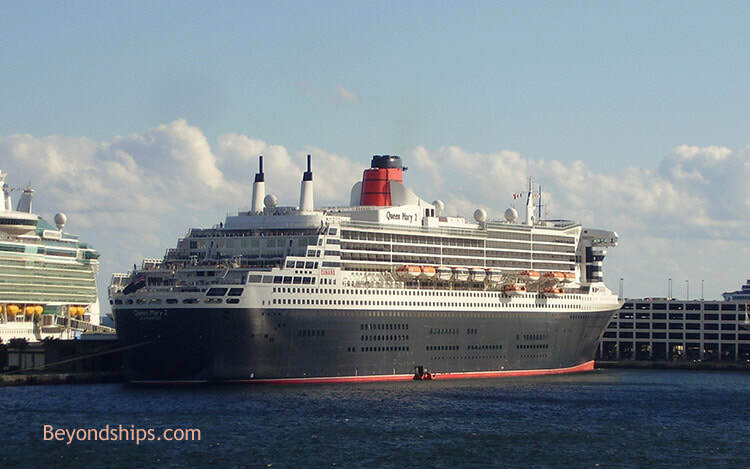 Although Queen Elizabeth 2 (QE2) was an ocean liner that was in her element running the North Atlantic between Southampton and New York, she was not an unfamiliar sight in Fort Lauderdale's cruise port Port Everglades. 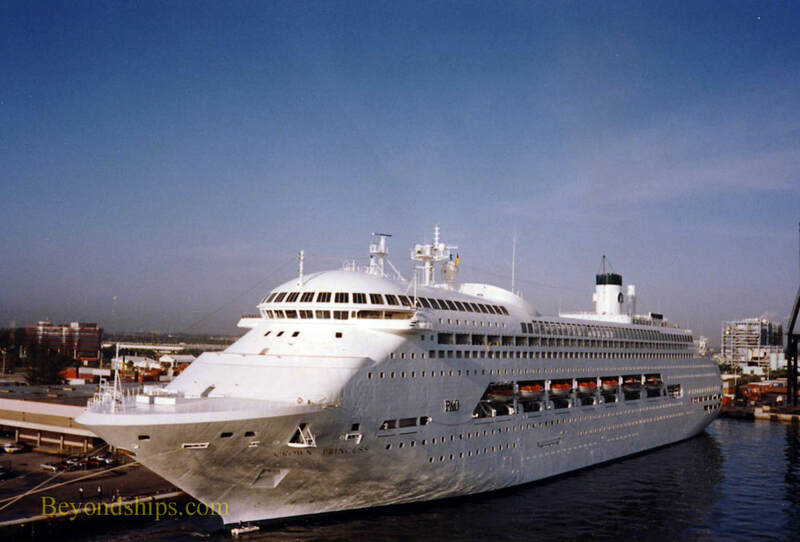 Port Everglades was often a port of call during the ship's Spring and Fall Caribbean cruises. 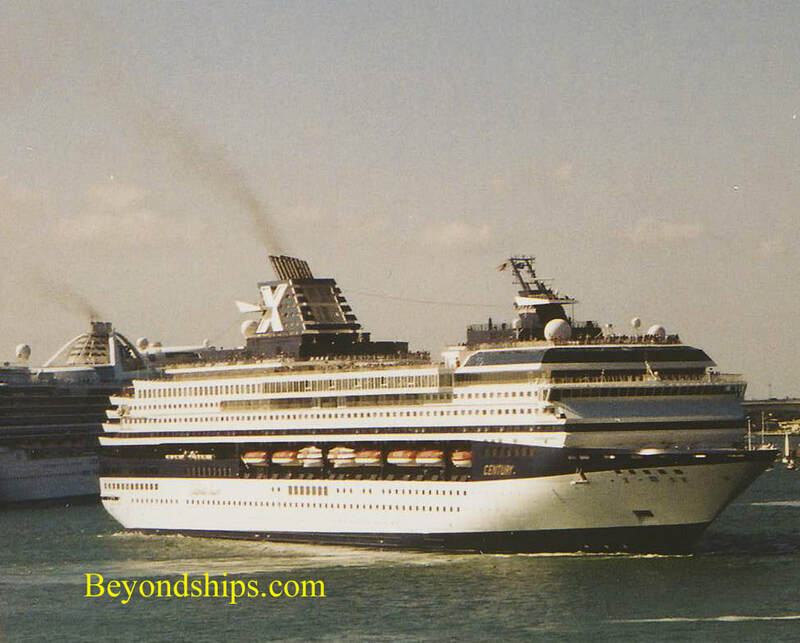 In addition, Port Everglades was often the official end point of her annual world cruise even though the majority of her world cruise passengers would leave the ship either in Southampton or New York - - the two stops before Port Everglades. 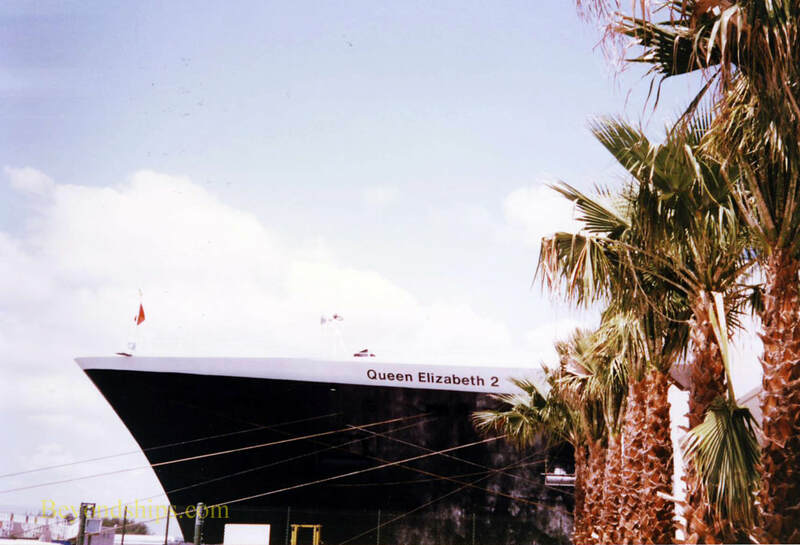 These photos of QE2 were taken during a port call in Port Everglades in the early 1990s. At that time, most of the port was devoted to commercial cargo traffic except for a stylish restaurant near where QE2 docked, which was allegedly owned by actor Burt Reynolds. QE2 is docked where Cruise Terminal 21 is now located. Most of the photos were taken from where Cruise Terminal 19 is now located, which was then a cargo pier. 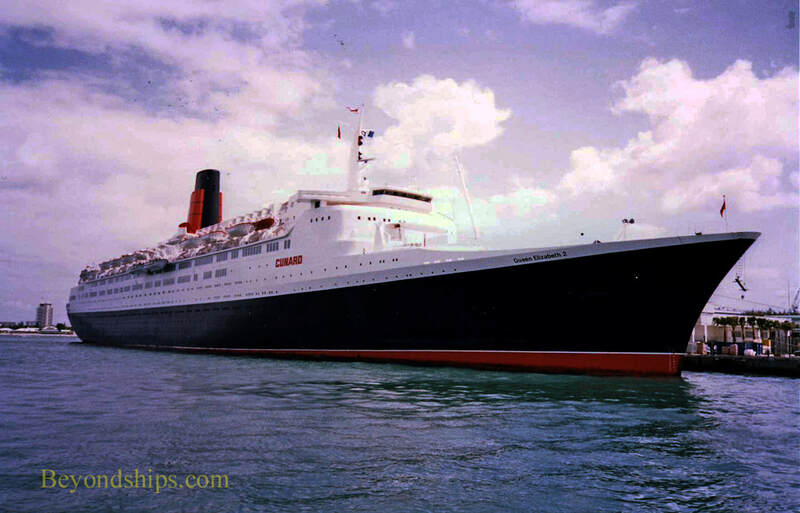 In the early 90s, QE2 was usually the only passenger ship in port when she called in Port Everglades. 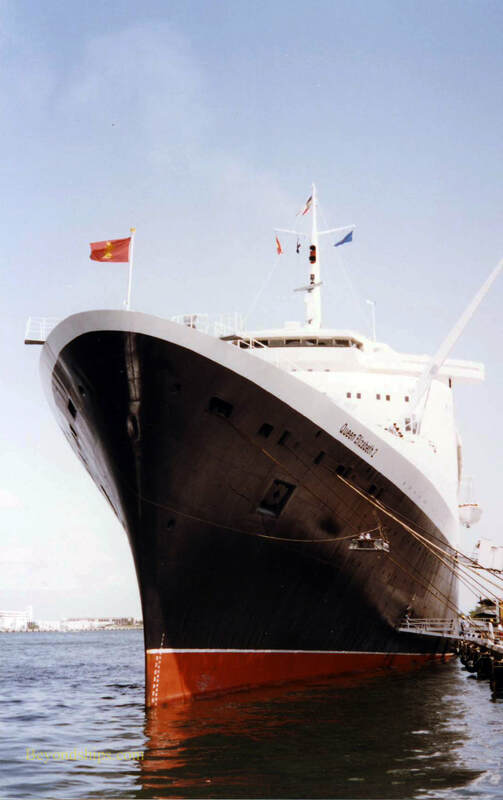 Cunard made the decision to shift QE2's Florida calls to Miami during the last few years of the decade. However, by 2001, QE2 was back to Port Everglades. 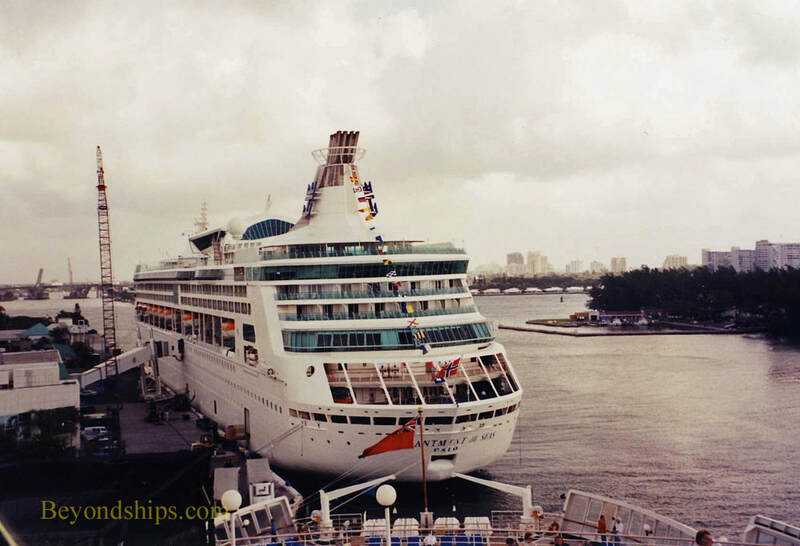 The port had grown in the interim and now there were many cruise terminals and many cruise ships. 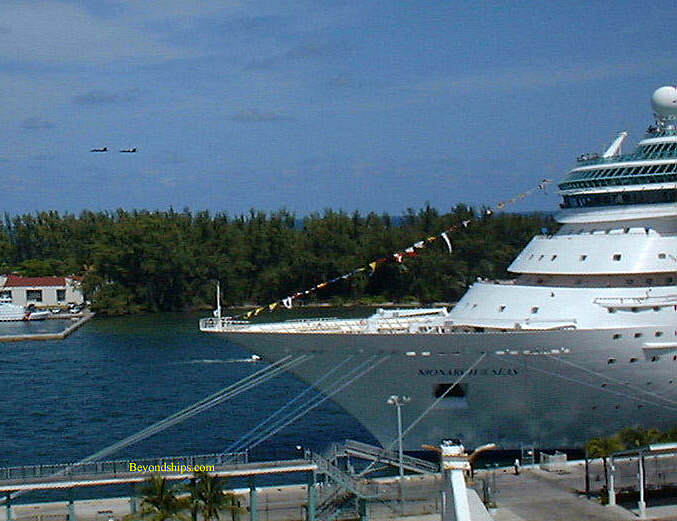 The ships shown here were photographed from QE2 during calls in Port Everglades in the years after the turn of the millennium. 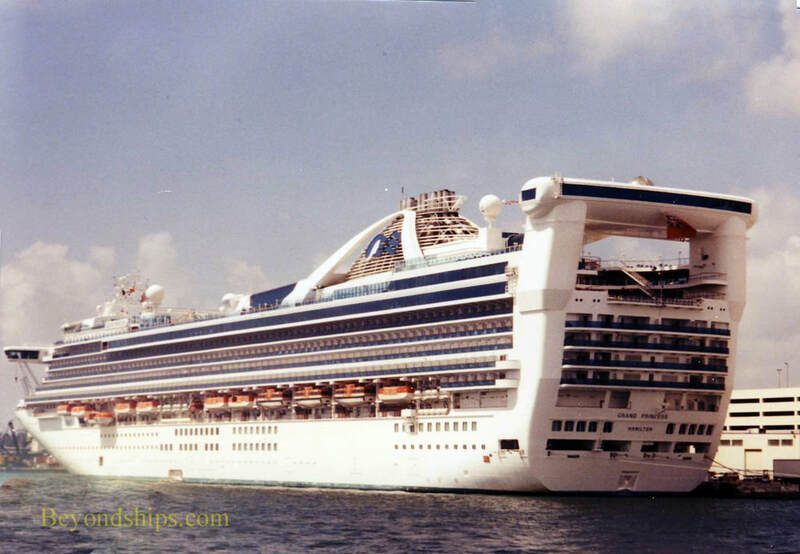 Above right: Crown Princess (now Pacific Jewel). 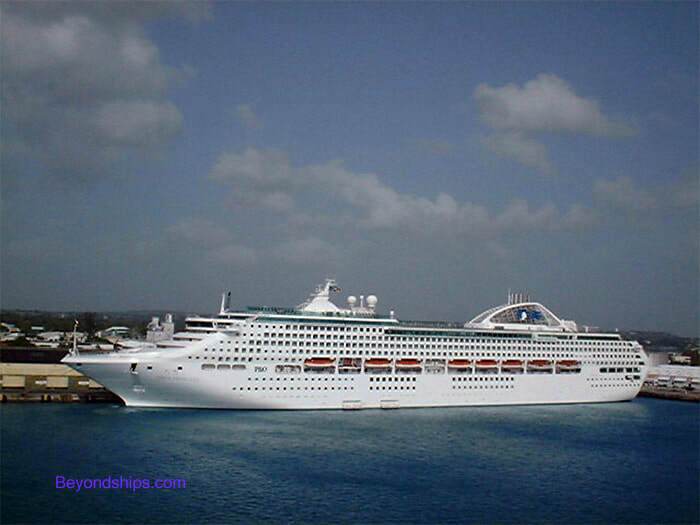 Belwo right: Enchantment of the Seas. (This was before the ship was cut in two and lengthened). Above left: Majesty of the Seas. In the distance, the U.S. Navy Blue Angels are doing an aerial display). 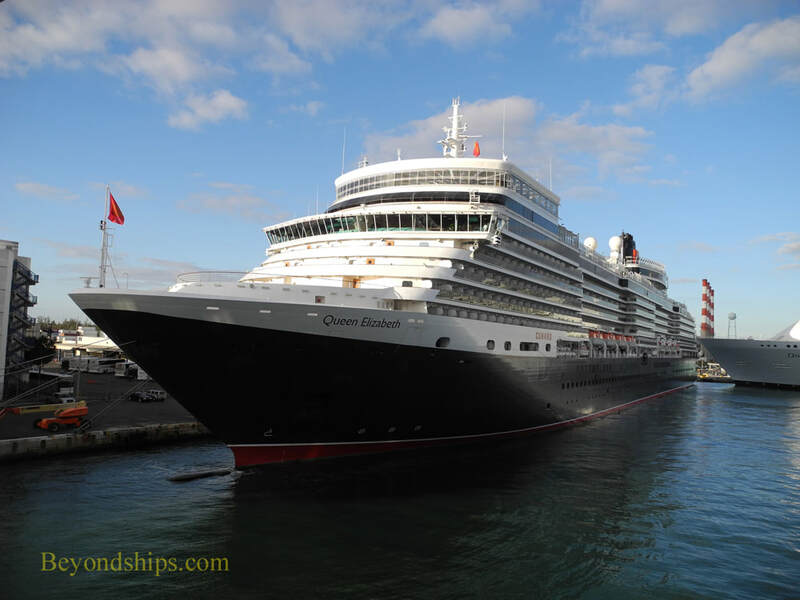 Following in QE2's footsteps, Port Everglades continues to be an occasional port of call for Cunard ships. Below left: Queen Mary 2.